Martedì dalle 12:00 alle 13:30 Studio della docente, I piano del castelletto (cortile interno Dip. FISPPA), via cesarotti 10/12 Il ricevimento di martedì 23 aprile è sospeso per impegni di ricerca della docente. Riprenderà regolarmente il 30 aprile. Tra i temi, darò priorità a chi è interessato/a agli studi sui giovani e alla vita quotidiana. Ph. D in Sociology, she is Associate Professor in Sociology at FISPPA Department, University of Padua. Extensive research experiences in youth studies, migration studies, religious studies, with a special expertise on visual and collaborative/participatory research methods. She is co-founder of InteRGRace (Interdisciplinary Group on Race and Racisms, active membership Dec. 2014-July 2018); moreover, she is co-founder of the research group SLAN.G. on Social Control, Labour, Racism and Migration (www.slang-unipd.it, 2016-present). She is committed to researching/contrasting different forms of racisms (mainly islamophobia, anti-black racism and antiziganism) through cultural work with young people. She is in the Editorial Board of the international Journals of Visual Ethnography (www.vejournal.org) and Migration Letters, and she is reviewer of the journal Visual Studies. She is a member of the RC57 of Visual Sociology of the International Sociological Association (ISA), of the International Visual Sociology Association (IVSA) and of the network on International Migration, Integration and Social Cohesion (IMISCOE). (directed by prof. M. Cardano) at the University of Turin, Dep. Culture, Politica e Società. 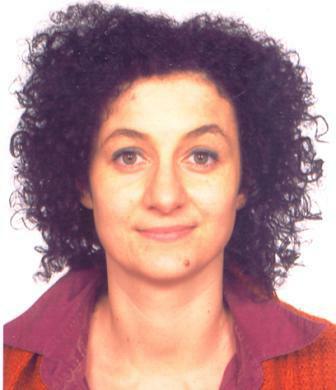 She published in national/international journals with peer review (Rassegna Italiana di Sociologia, Studi Culturali, Mondi Migranti, Journal of Ethnic and Migration Studies, Journal of Intercultural Studies, FQS-Forum Qualitative Research, Social Compass and Migration Letters). Per le restanti pubblicazioni, si veda il c.v.